Greek Orthodox Education: Who Is Raising and Educating our Children? In the good old days, our children were raised by their parents who also educated them along with the teachers. 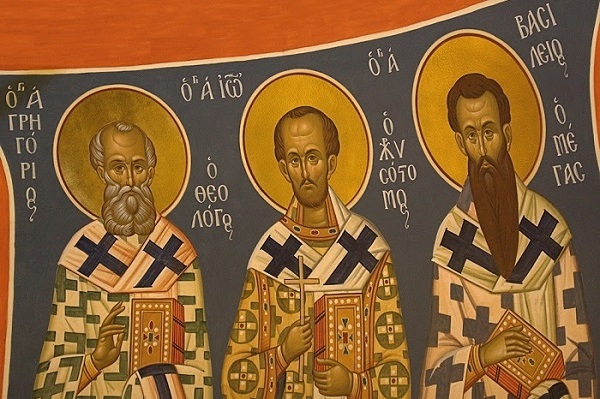 Furthermore, a significant role in our children’s education was played by the wise philosophers of ancient Greece, the Fathers of the Church, the Three Hierarchs, and society at large. Unfortunately, our children today are being raised by contemporary society with all its problems. The mother works. The father works. The children grow up at home with a maid or are confined to a daycare facility. Today’s society does not help to raise and educate children. Today’s society does not promote the values that it should. The family is mostly facing extinction. According to statistics, more than fifty percent (50%) of children grow up with either one parent or in a family whose father and mother are of the same gender. Do you need an incredible amount of intellect to understand what kind of education these children will receive? In addition, children are growing up today under the heavy influence of the internet and social media. Here, as well, one has to scrutinize two things. What values does social media teach children? Do children possess the requisite judgement to use social media appropriately? The answers to these questions are quite obvious. Children are also raised by the schools they are attending. But what do they teach today in schools? Unfortunately, school programs often do not educate children appropriately and in a manner, which is conducive to creating within them a really good character. This is a huge problem. For all these reasons, Greek-Orthodox schools are absolutely necessary. Of course, this puts a financial burden on parents. But what should be done? Every parent should carefully think this through: I brought children into the world. I am responsible for their upbringing and education. What is to my benefit? Do I place more emphasis on enjoying the luxuries in life, or do I prioritize my children’s well-being and education? I have spoken and written about this on many occasions. Greek parents give their children the best of everything. The best home. The best food. The best clothes. The best schooling. But are their children’s schooling shaping the right character in their children? Unfortunately, most of the time this is not happening. Modern Greek-Canadian parents forget the role played by the Orthodox Christian faith. They forget that for their children, the most precious asset is the formation of the Greek Orthodox character. For this reason, the Greek Orthodox school is of the greatest necessity for Greek Canadians. So, build schools. Build Greek Orthodox Schools. Take care of your children, and in addition to the education they receive in Canadian schools, make sure that they benefit from a Greek Orthodox education in Greek schools, whether in the afternoon, on Saturdays or on a daily basis. Greek Orthodox day schools are by far the best option. I ask the Greek Orthodox faithful in Canada, what will you do? Will you cry over money? Will you deprive your children of a Greek Orthodox education? Will you allow your children not to receive the appropriate education? Will you deprive them of the opportunity to have fashioned within them the correct character? How will they live in society? How proud will you be of your children if they do not possess the right character and are not successful within society? As the wise proverb goes, “a stitch in time saves nine.” Only prudence and foresight afford one the advantage. Parents, make sure your children receive a Greek Orthodox education. In order to form within them the proper character, because only in this way will they succeed in society. You will then look upon them with admiration and awe. You will live in gladness. Life on earth is transient. We are all going to die. We will not take any of our wealth with us. We will be victorious only if we spend our wealth on educating our children and for good works. Everyone should join the effort for the establishment of Greek Orthodox day schools. No child of Greek-Canadian origin should be excluded from Greek Orthodox day schools. This is our theme for this year and always. Greek Orthodox day schools for all children. To receive the proper education. To mold the right character. To be able to succeed in society. For parents to be proud of them.